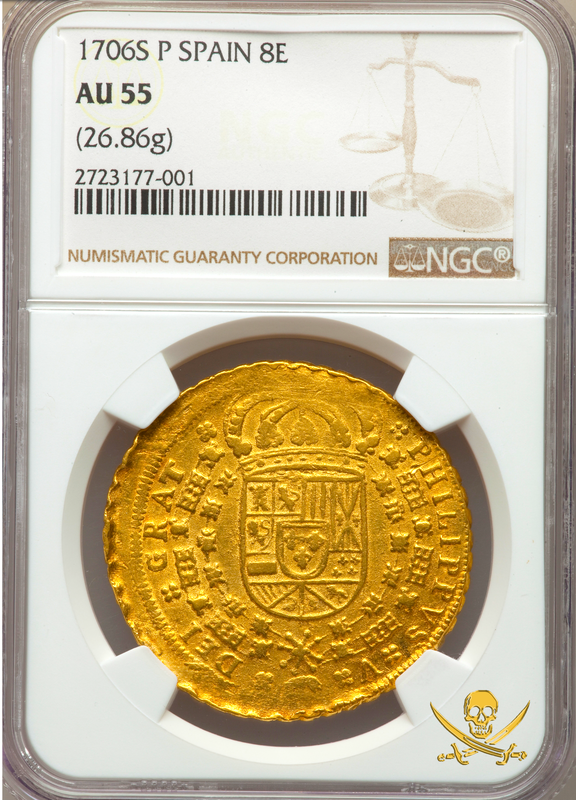 7SPAIN 1706 8 ESCUDOS “ONLY 1 KNOWN!” NGC 55 GOLD DOUBLOON SEVILLE TREASURE COIN This is “Literally THE ONLY 1 EVER Certified 1706” and of course the New World (LIMA PERU) NEVER struck a 1706 (we know this for sure because there are 1705’s and 1707’s Over struck on ’05’s). 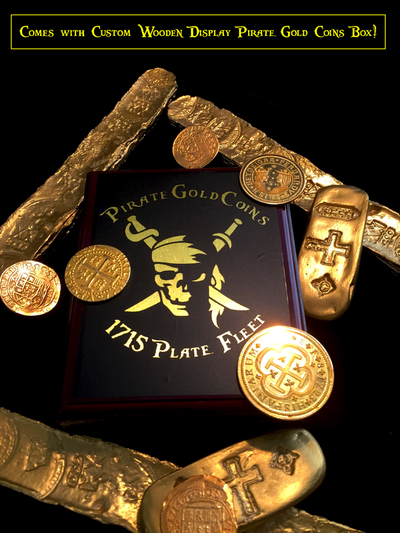 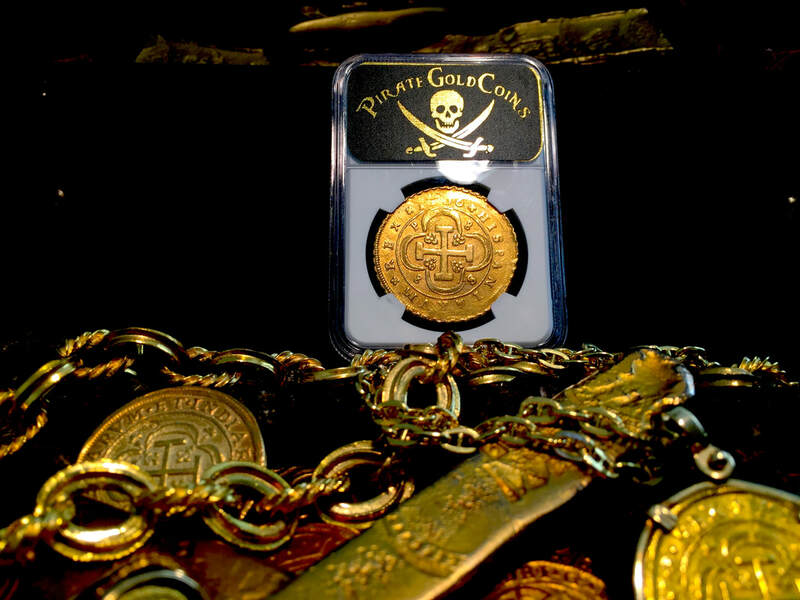 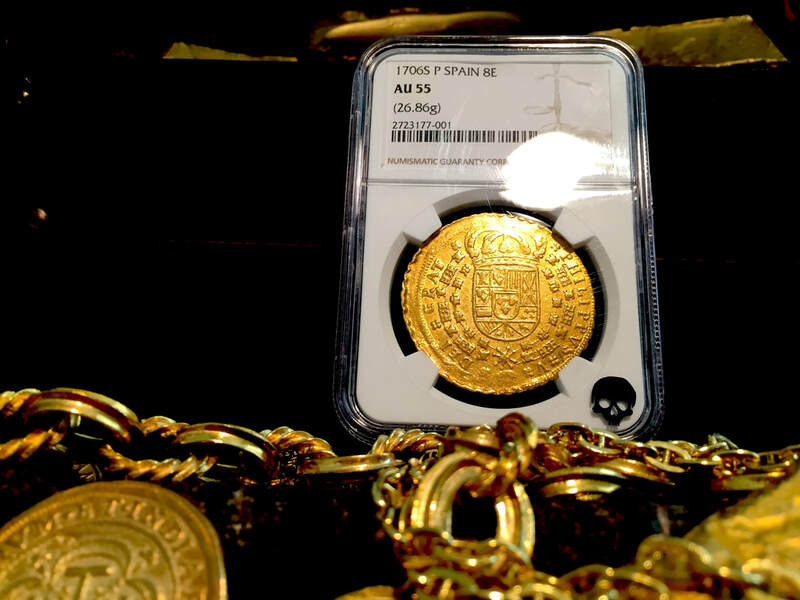 These Spanish Gold Doubloons are just Majestic and are Highly Sought After, especially by DATES! 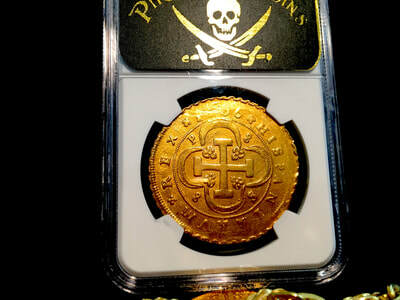 All of us Collectors working on our sets need the 1706 and this is the ONLY 1. These coins of course were created by using a Rolling press so there’s typically two edges that are soft. 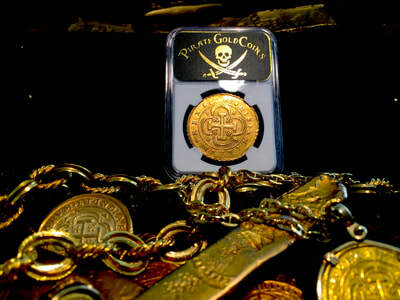 I was very pleased to see an almost Full Crown and complete devices and legends on the Obverse. The Reverse has a very bold and detailed CROSS, as well as most of the legends. The date does display Three of the digits, fortunately the last Digit “6” is Strongly displayed and is complete!!! 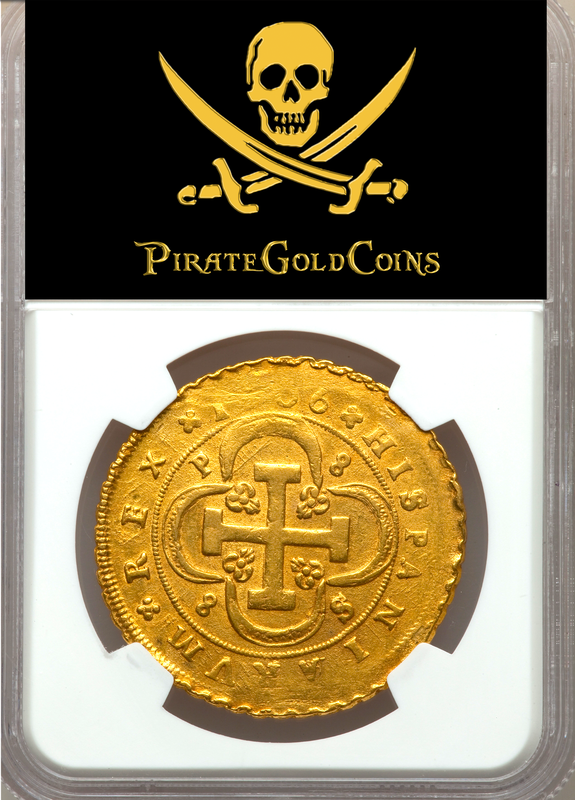 The color of this piece is a nice butter to butterscotch GOLD, just deep rich look – 5 STAR EYE APPEAL & VERY RARE POP 1!